Having a baby is an exciting moment for any family, but if you already have a child it can be difficult for him or her to adjust to having a new sibling. It is natural for your older child to feel some jealousy when the new baby arrives, but there are things you can do to help everyone adjust to the change. While you are pregnant, be aware of ways you can make your older child feel connected to the baby. Let them feel any kicking or movement in your belly, or have them read a bedtime story to their future sibling. Not only will this form a bond between the two, but it will also help your child become excited about the new addition to the family. Once the baby is born, it is important that you still provide your older child with the adoration they expect. Have one parent carry the new baby into the house while the other parent focuses on hugging and holding the firstborn. This keeps the routine feeling normal and prevents your child from feeling left out. Bonding is very important once the baby is home. Focus on repeating that your child is the â€œbig sisterâ€ or â€œbig brotherâ€ and how important that role is. Allow your child to hold the baby so they begin to feel protective and talk about the great things they will be able to do and share together as they grow older. Finally, it is important to maintain the connection you have with your older child as you would have before the baby arrived. Make sure to spend time alone with them each day. When you do have to be involved with the baby, invite your child to join in on the activity. 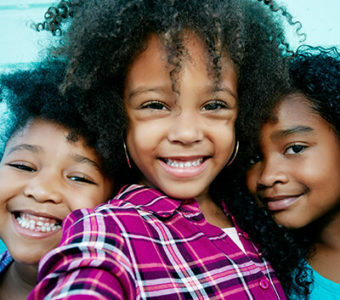 OhioHealth offers sibling classes that can help make the transition to big brother or big sister easier for your children.